PRICE REDUCED!! 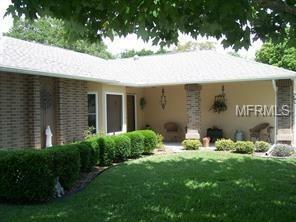 THIS HOME IS VERY WELL MAINTAINED AND YOU CAN FEEL A COMFORTABLE WARM FEELING WHEN YOU WALK IN. 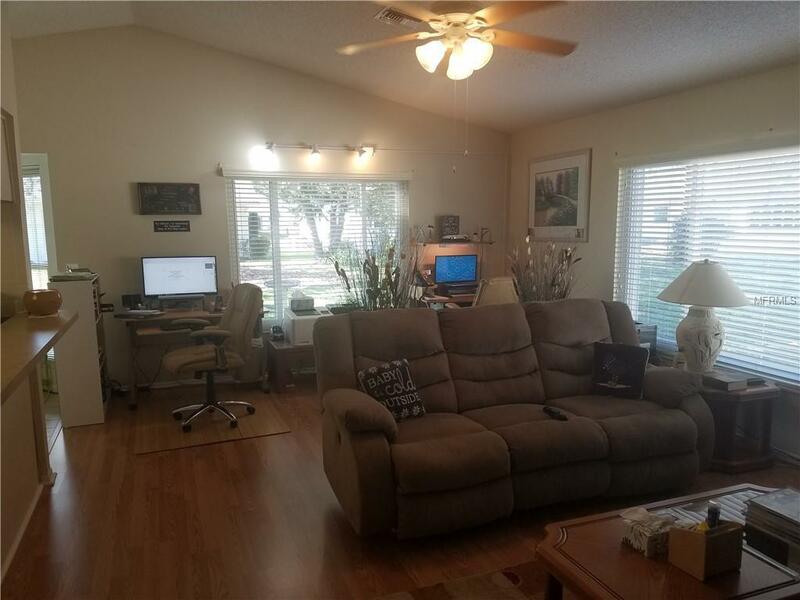 TWO BEDROOMS, TWO BATHS AND A TWO CAR GARAGE WITH LOTS OF STORAGE SPACE. 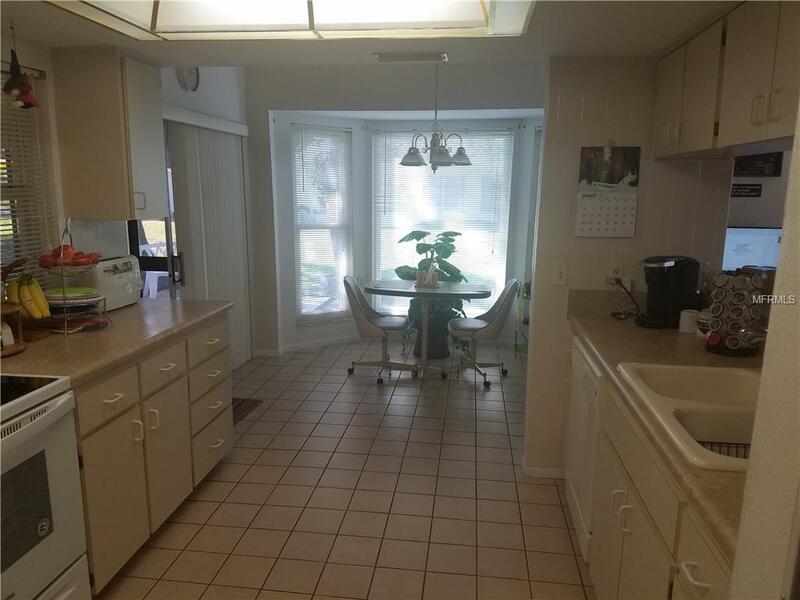 TILED KITCHEN, BATHS AND HALLWAY, WITH NEW WOOD FLOORING IN THE LIVING ROOM, DINING ROOM, AND FAMILY ROOM! THIS IS A LOVELY HOME WITH SPACIOUS ROOMS AND SPLIT FLOOR PLAN. VAULTED CEILINGS IN THE FAMILY ROOM AND KITCHEN ADD TO THE UNIQUENESS OF THIS HOME. TWO WALK-IN CLOSETS IN THE MASTER BEDROOM. LARGER MASTER BATH HAS DUEL SINKS AND WALK-IN SHOWER. GUEST BATH HAS A SHOWER/TUB AND THE GUEST BEDROOM HAS ANOTHER LARGE CLOSET. INSIDE LAUNDRY HAS STORAGE CABINETS. THERE IS A SOLAR HEATED WATER HEATER AND CEILING FANS IN THIS HOME. THE OPEN AND LARGE LANAI HAS SCREENED WINDOWS WITH SOLAR ACRYLIC FILM. THIS IS A VERY ACTIVE 55+ COMMUNITY. A FABULOUS CLUBHOUSE THAT HAS A LARGE HEATED POOL AND SPA WITH PAVERS AND MANY UPDATES TO THE POOL AREA. THERE ARE TENNIS COURTS, SHUFFLEBOARD, AND EVEN A DOCK. TONS OF ACTIVITIES FOR RESIDENTS, AND MANY AREAS TO WALK OR RIDE A BIKE. 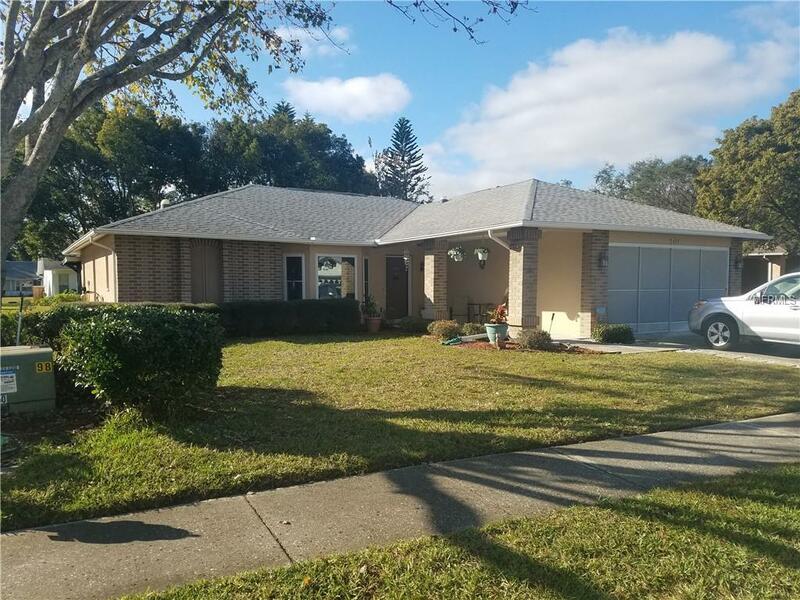 CLOSE TO ALL AMENITIES AND THE TAMPA AIRPORT. TWO SMALLER PETS ALLOWED IN THIS SECTION OF HERITAGE LAKE. Listing provided courtesy of Conaway Realty.